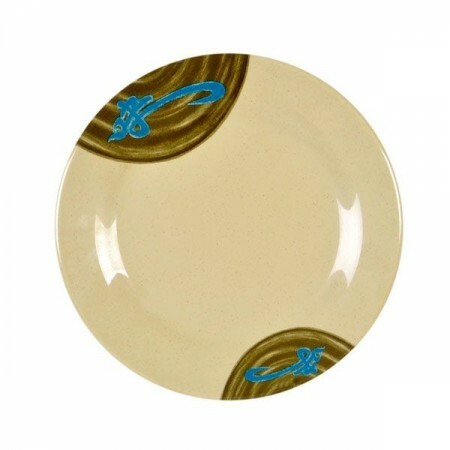 $11.89 Thunder Group 1006TW Imperial White Melamine Plate 6"
$25.99 Thunder Group 1007TW Imperial White Melamine Plate 6-7/8"
Designed with a speckled brown exterior and a blue Asian-influenced accent, the Thunder Group 1006J Round Wei Plate 6" adds oriental beauty to any table setting. Perfect for entertaining and everyday dining, this plate is wide enough for serving meals at breakfast, lunch, or dinner. Made from heavy-duty melamine, this round plate will withstand a wide range of temperatures without breaking. For easy clean up, this NSF approved round plate is dishwasher safe.